What would it be worth to you if you were able to get inside the heart and mind of your potential clients? What if you knew the behaviors of your target audience as well or better than they do? Imagine the potential impact that kind of insight could have for you and your organization! Today’s conversation is with Gabriella Mirabelli. 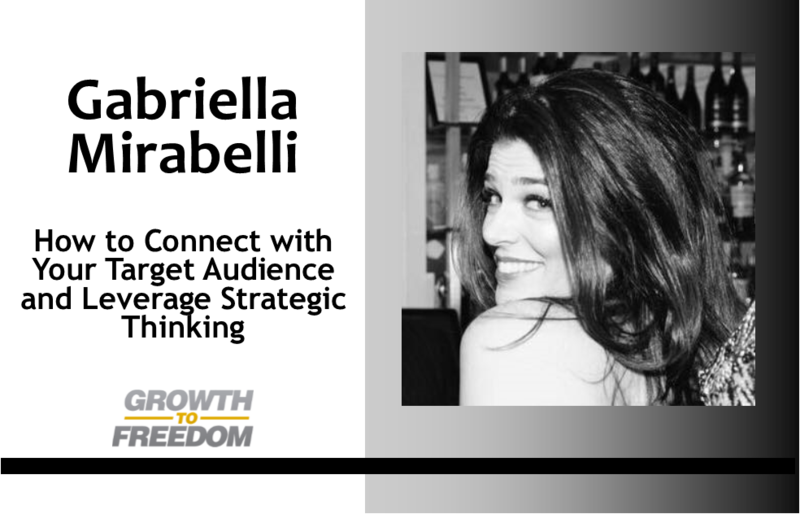 Gabriella is the CEO and co-founder of Anatomy Media, Inc., a New York-based creative boutique, and consultancy specializing in the promotion and marketing of entertainment brands. Gabriella is a strategist and an award-winning creative thinker with a passion for building successful brands and stand out campaigns. Genius Network is the place high-level entrepreneurs go for collaboration, contribution, and connections not available anywhere else. Members get strategies for exponential growth and opportunities for deal-making, strategic partnerships, joint ventures, and more. Membership is by application only. Click here to learn more. I was one of the original members when Joe started it in 2007. You can also learn more about the Genius Network Annual Event here – which is the one time per year the group is opened to non-members.